Hidden Valley is a video slot released in August 2018 as a re-launch of the Quickspin’s edition from 2015. Based on a story about Shangri-La, the game will have you set off on an adventure with two travellers and their guide trying to find the Hidden Valley and its treasures. Start your journey because this slot is packed with Stacked Wilds, a Random Wild Multiplier and a Free Spins game with extra Wilds leading you to massive wins. This Asian-themed game provides an engaging playing experience with its interesting and profitable features, but also with stupendous graphics, crisp animations and an energetic soundtrack. Hidden Valley is a 5-reel slot with an unusual 3-4-4-4-3 row layout and 40 fixed paylines to bet on. To adjust the total bet you should click on the Bet display where you can change values on a scale from $0.60 to $60, so that they suit your bankroll. Press Spin to start the game and if you wish to quick stop the reels, tap on the same button at any moment. By activating the Autoplay mode, you will be able to sit back and enjoy as the game continues automatically for a number of rounds. As long as symbols appear on adjacent reels on a payline from the leftmost position you will receive payouts. The reels are populated with 3 high-pay icons, a man, offering the highest payout of 1.25x your bet, a woman and the guide, who deliver 1x your bet when 5 matching symbols land on a payline. Eagle and Buffalo symbols pay out 0.75x your bet for 5 of a kind. Low-value icons are represented by playing card symbols Jack through Ace. Wild replaces all other symbols except for Scatter. Landing 5 Wilds grants a cash prize of 5x your bet. Look out for this symbol as it carries a random multiplier going up to 10x on each spin. Increasing or decreasing the bet size in the Multiplier Bet Panel on the right side of the grid will influence a change in the range of multipliers.The higher the bet level the greater the multiplier value will be. Any payline on which this symbol appears will be multiplied by the value displayed on the symbol. Scatters will pay 2x the bet when 3 land on a payline. 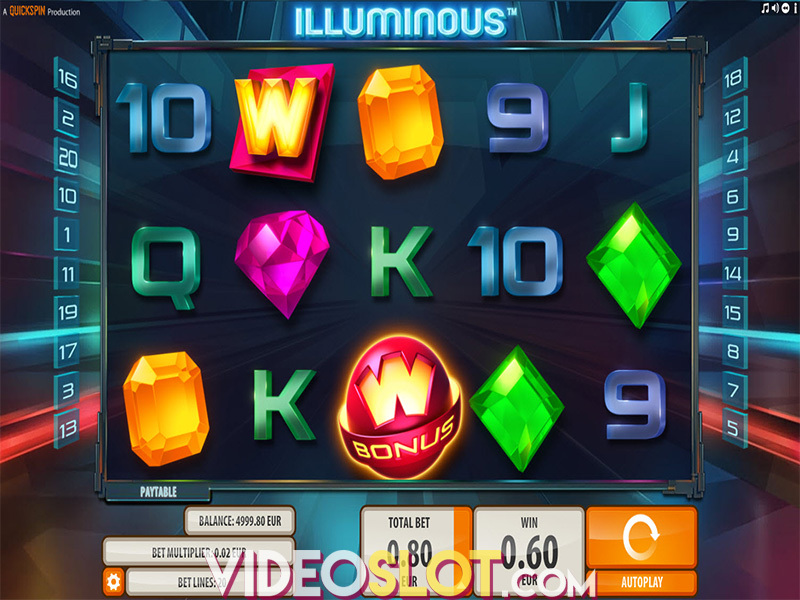 Additionally, hitting at least 3 anywhere on the grid will trigger the Free Spins Game. 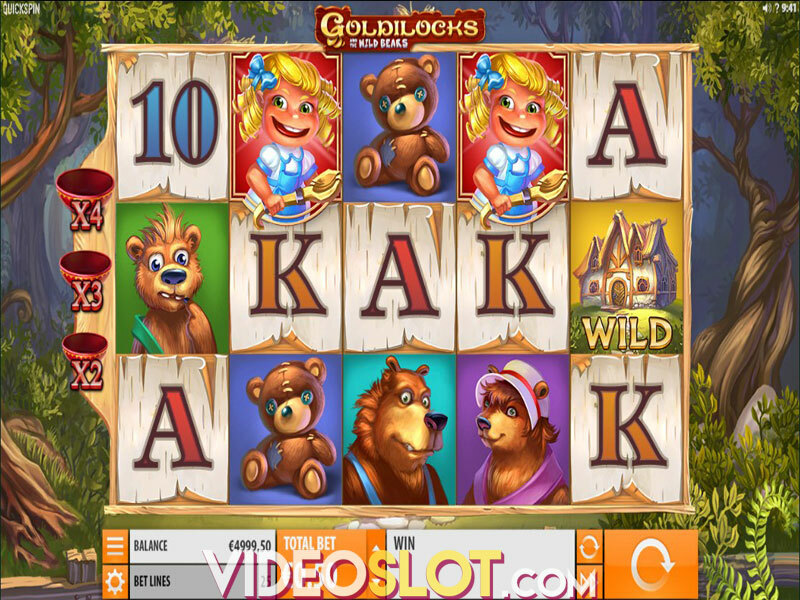 Land 2 more Scatters during the feature to receive additional free spins or extra Wilds. Before the round starts, a Bonus Wheel will appear and once you spin it, the outer wheel will either reward you with Extra Wild or no Extra Wild, while the inner wheel determines the number of free spins, going up to 12. If you obtain Extra Wild, one of medium-win icons will transform into Wild, substituting all others, except for Multiplier Wild and Scatter. Hidden Valley has retained its popularity due to excellent Wild Multipliers which could help you nail the top prize of 168,840 coins and deserved to be upgraded to HTML5. Now, players can enjoy the Quickspin video slot on mobiles and tablets as well. Where to Play Hidden Valley?